Amazon is selling preorders for USB drives from Microsoft loaded with Windows 10. Good news, PC home builders! If you're busy constructing a new tower for Windows 10 and on the fence about whether or not to take up a slot with a DVD drive, here’s a little tidbit you should know about: You’ll be able to purchase a retail copy of Windows 10 on a USB drive. Huzzah! Amazon currently has a pre-order page up for Windows 10 Home that ships on a USB flash drive. The bad news is the item is currently listed as shipping on August 30—nearly a month after Windows 10 starts rolling out on July 29. That’s been Microsoft’s modus operandi for recent Windows releases, however, so this shouldn’t come as too much of a surprise. As Microsoft tipped in June, the retail version of Windows 10 Home is selling for $120. There is also a Windows 10 Pro USB drive selling for $200. In addition to the USB sticks, Amazon is also listing disc-based versions of Windows 10 Home Builder OEM that sell for a little bit cheaper and ship earlier than the USB drives. The Windows 10 Pro Home System Builder OEM disc is priced at $140 and ships on August 5, while the basic Home OEM disc is just $100 and ships the same day as the Pro disc. 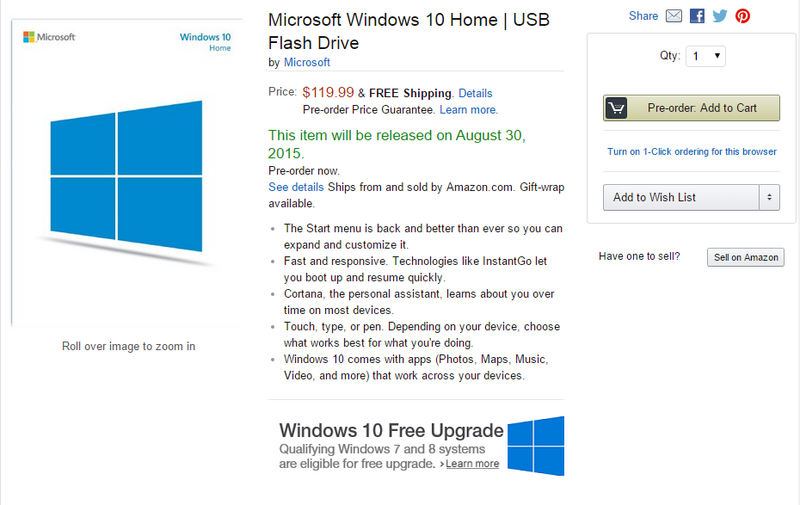 Amazon is selling pre-orders for Windows 10 on a USB stick. The big difference between the USB drives (the “retail” versions) and the System Builder versions is that Microsoft offers support for the retail builds. If you try and install the OEM version on a PC you are on your own. There are also many other differences we won’t go into here, but for a complete breakdown check out How To Geek’s excellent explainer. 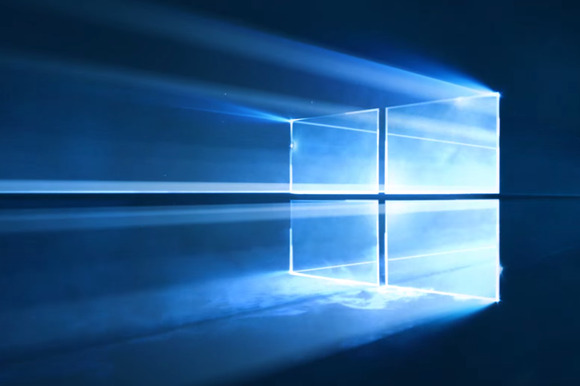 The impact on you at home: If you’re looking to pick-up retail versions of Windows 10 for installing on a fresh machine, you can pre-order your copy now. Just make sure you note the shipping date and the differences between regular retail versions and the Home Builder system discs. You may save a few bucks by getting Windows 10 on legacy media, but the hassles of no support and other restrictions—for example, System Builder versions are tied to a specific piece of hardware—may not be worth it. It’s about time Microsoft started selling and shipping Windows on USB keys. DVD drives are becoming less and less common on machines and aren't even must-haves for gamers anymore—with services like Steam, it’s not uncommon to simply download modern mega-sized games. Windows 10 is not really the first time we’ve seen Windows on a USB stick. You can—or at least could—download a Windows 8 ISO and manually slap it on a USB drive instead of a disc for installation. Windows 8.1 Enterprise users also have access to Windows To Go, a feature that lets you carry around a portable version of Windows on a flash drive.